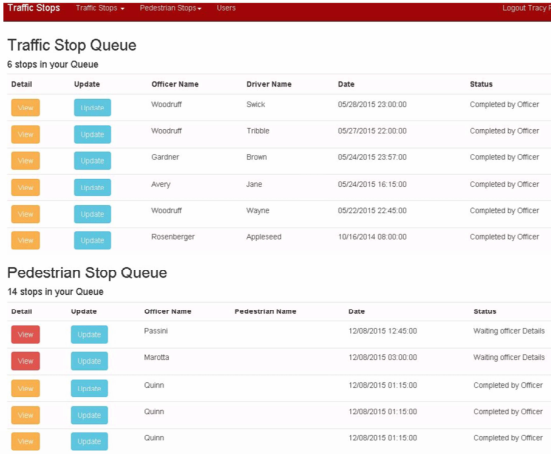 The Traffic Stops Database was built for the Illinois State University Police Department. This is a web application that was used to merge several paper processes into one fully functioning workflow. The Traffic Stop database is used by police officers to record required demographic data for the state of Illinois. This data then goes through the department approval process before being exported from the application and imported into a central state police database.